If you’re considering working with a landscape designer to craft the perfect landscape for your home then it is essential to find the right fit. Professional landscape designers provide a range of services. To prevent hiccups midway through the project, you’ll need to ask the right questions upfront and be thoroughly informed on the details of the services provided. We’ve compiled a list of important questions you should ask a landscaping professional before you officially hire them. Before reaching out to potential candidates, you should know what you want. Create a wishlist of your landscaping needs. Set aside your priorities, desires, and the budget that you’re working with. Figure out what aspects of your landscaping project you can take care of yourself, and what you’ll need to hire an expert for. Having this written down on paper will give you a sense of direction, and you’ll know exactly what your needs are before you contact a professional. Design – Some landscaping companies only specialize in the designing phase only. This typically includes analysis of the site, a detailed discussion of what the client needs, a design draft, revision based on the client feedback and finally a master plan. The final landscaping plan is handed over to a landscaping company to carry out the building process. Design and Build – Other landscaping companies offer both design planning as described above and they’ll also create your “perfect” landscape. Full Service – Many companies will offer full services. They carry out the design, building phase and they oversee further maintenance of your landscape. Can I view examples of your work? What type of garden do you want? You should request to see examples of the landscaping professional work to see if they can execute the style you’re interested in. Be sure to check the professional’s credentials. Many landscape designers will offer a initial consultation. During the consultation they’ll walk with you around your garden to discuss with your landscaping needs, desires and bounce around some ideas. This is a good opportunity to determine whether the landscaper is a good fit for you. If you liked what you read, be sure to check back weekly for more ideas and updates or subscribe to our blog so you can get alerts when we post new ones! As the seasons begin to change, there are some essential items you will need to check off your garden chore list. If your area has already begun getting cold, you may want to consider starting these chores this weekend. The last thing you want to do is wait until the first snow falls. So grab your gardening gloves and let us get started! Clean your gardening tools. Come next spring, you surely do not want to be pulling out dirty gardening tools. Now is the perfect time to clean and store your tools for next spring. Scrub off the dirt then place them inside of a bucket with soapy, warm water. Let them sit for an hour then dry them off to prevent rusting. Take potted plants indoors. Before you bring your potted plants inside, you want to make sure that no creepy critters come with the plant. Experts recommend flushing out the soil a couple of time with water. The flushing can be done over the course of twenty minutes. Wait a couple of minutes before beginning the next flushing cycle. Also, remember to take out any dead or faded leaves from the potted plant. Lastly, you will want to add fresh mulch to your soil’s surface. Reorganize your shed. Things may have gotten messy or misplaced during the summer. Take some time to reorganize everything before you lock it up for the winter months. Remove gas from equipment. You will want to drain the gasoline from your power equipment before you store them. Also, this would be an excellent time to check their filters and see if they need replaced. Rake your leaves. As the leaves begin to fall, you will want to start raking to avoid extra work at the end of the season. Although, we do recommend waiting until the end of fall to remove the leaves from your drains. This will prevent you for having to do it twice. But definitely make sure that you do not wait until the first snow. Snow will only make things more complicated. Decorate. While you are working in your garden, it would be a great time to start decorating. You can go to your local farmer’s market and purchase some pumpkins and squash. You can even make a fun family night out of carving pumpkins together. Stay warm and happy fall! Focus goes towards front doors. Front doors are one of the first features that people recognize in a house. The front door helps hold together your home’s style. If you are looking for an inexpensive way to update your front door, paint the door a bold color. Then you can incorporate the bold color throughout your plants and flowers to help tie it in with the home. Depending on the time of year, your front porch has a lot of decorating potential. Decorations will help add a warmth and “homeyness” to your outdoor area. Around Christmas time, hang some lights and add a dark green wreath to your front door. During fall, incorporate some potted mums, bails of hay, and pumpkins around your front porch. There are endless ideas to keep your house festive during each season. Add life to your yard. There is nothing more sad than driving past a house that has a great size for a front yard, but the owners are not using it to its fullest potential. Whether your yard is big or small, plants can add an exceptional amount of beauty to your outdoor space. Remember that with great plants comes great responsibility. You will have to water them, pull weeds, plant new ones, etc. 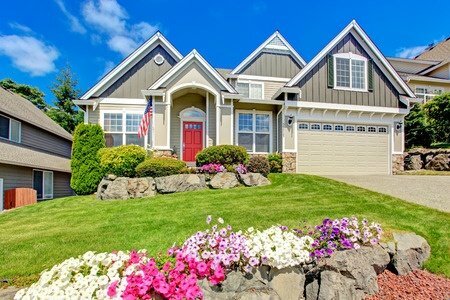 Let the greenery of your house speak for itself when people look at your curb appeal. Your house numbers draw several eyes when people are looking for a particular address. Buy some numbers that stand out and are different from the standard design. You can even consider revamping your current house numbers with a fresh coat of paint. Invest in some solid outdoor lighting. Make sure that you have the necessary lighting around your home. Keep areas well lit for your guests and family members who may be leaving during nighttime. Motion-detecting lights help with the safety and security of your property. The aftermath: Your front yard has never looked so good! You have impressed all your neighbors and your house is the talk of the town. 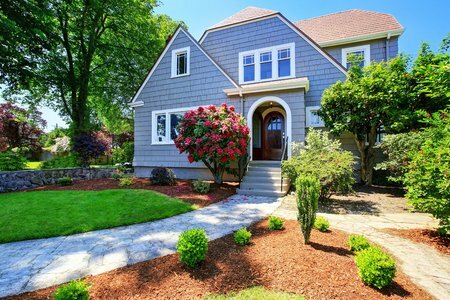 Your new curb appeal has added value in other’s eyes and you achieved it at an inexpensive price. We always encourage bringing the outdoors inside your home with plants and succulents, but have you ever thought about bringing the indoors outside? When you are designing your backyard and patio, try incorporating designs that translate into the style of your home’s interior. You may think: how do I do that? We have three tips for creating a continual flow from the inside of your house to the outside of your house. Before you begin designing your backyard, you need a better understanding of your home’s interior style. Take some time to evaluate your home’s design, patterns, flow and stylistic choices. 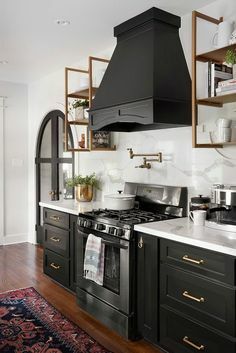 What are your favorite features of the home? After you have a better understanding, you can begin to plan your exterior’s design. You want to create a continual flow from the home’s interior design to the exterior design without being obvious. Your exterior color scheme does not need to be the typical colors found outdoors. You can use a color that you have subtly used throughout your home as your primary color outdoors. If you are having trouble choosing a color, pick a decorative piece to put outside and build a design off of it. For example, if you have a beautiful aqua vase that you want in your exterior design, start with it and begin shaping your designs around it. Lighting. String lighting can create a romantic outdoor escape for you and your loved one. Try hanging them from trees in your backyard and connecting them to your house to create an intricate design. Furniture. A lot of your indoor furniture can translate into your outdoor design. Make sure to choose furniture that can handle your area’s weather like glass or iron. 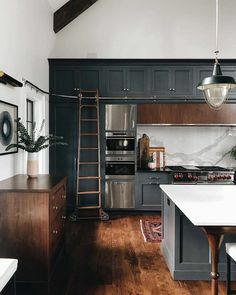 Decor. Your interior decorative pieces can be used to design your outdoors. Try pulling some items from inside your home to decorate your backyard. Always finish off with fresh flowers to add a nice fragrance. Did you know you can add flooring outdoors? Porcelain Tile or Outdoor Carpet are great for designing your backyard. If you would like to learn more, call us at 888-TileYou (845-3968) for more information or visit one of our many locations. If you have a patio space that needs some extra seating, consider built in seating made out of natural stone. This type of seating is not made entirely of stone. It is framed with wood and the exterior is finished with natural stone. Natural stone seating is a great way to create extra seating that will not be harmed by the natural elements. This project is a great way to create a custom look. It also looks amazing in an outdoor space. The seating fits in well with your patio space and has the added benefit of being custom just for your home. As outdoor kitchens become more popular, people are realizing they need more seating to entertain in these outdoor spaces. By creating an outdoor kitchen with ample entertaining space is adding an extension of living space to your home. Outdoor areas are the best place to entertain, given the weather permits. It is worry free. There is no need to worry about spilling drinks or creating a mess. Naturally this will create a more relaxed atmosphere if you can let go of the fear of stains! This type of space is also nice for children and their parents too. Children can run around while the meal is being prepared and then get as messy as they want. Parents can relax further knowing their children are busy playing outdoors. The stone used for this type of seating can be any of a wide variety of natural stone. We are happy to help you select the best for your home. When selecting the material to use, keep in mind that you want the stone to be comfortable to sit on. Select stone with smooth surfaces and edges. Having a smooth stone makes the seating more inviting. Feel free to add outdoor cushions that can easily be taken inside after use. Build the patio custom for the yard and your family’s needs. Then simply create the stone built in seats around that. 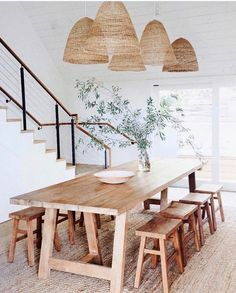 These types of seating or benches look really great when used in a round or semicircle application. If you have any questions about the best natural stone for your needs, feel free to ask! At Century Tile, we are always happy to help! Staying active during the cold winter months can be difficult. But it is important to stay active no matter what the outdoor conditions in the winter. Fitness can suffer if you decide to take a break from your normal routine and keeping up with this routine can give you a boost to your immune system to fight off those winter colds. So what are some great ways to stay active? Walking is one way to work around the cold temperatures and snow. Be sure to bundle up correctly so as not to get frostbite or have any discomfort while outside. And if the temperatures are on the cusp of being cold you can always layer so that by the time you start to feel warm on your walk you can peel off one of those layers for comfort. Another way you can keep up your workout regimen is to join an indoor gym and set yourself up with some goals. With the gym you are able to expand your horizons through classes where you can try new things. This might include yoga or spin classes, which are great ways to get out and socialize in the winter month when shorter days can sometimes make us feel a little isolated. You can mix it up with individual cardio and weights. Gyms are great because they offer large variety. If you enjoy venturing out into the cold, hitting the slopes with your snowboard or skis can help combat winter lethargy. These two activities provide fantastic cardio and are great ways to improve coordination. If you have physical limitations that prevent these more rigorous activities you could look around with local businesses to see if they offer something like snowshoes or sledding. You could even bring the whole family! And finally, the most practical and efficient form of exercise. Cleaning can be therapeutic and cleansing. But when you take to cleaning your entire house from scrubbing floorboards to dusting, loads of laundry and then folding it, vacuuming and mopping. These activities burn calories and at the same time you can feel accomplished at the end of your session when your house is sparkling back at you and you’ve gotten in your daily activity. Getting physical activity in during the winter months can be hard but it is not impossible. Let us know in the comments—what are the unique and creative ways you get your exercise in during the winter? It IS officially fall. You can tell by the brilliant blue sky, the leaves changing colors and the crispness in the air. Soon we will be pulling out the crock-pot and preparing hearty braised dishes for our families. In the meantime, while the kids have settled down to the routine of the school year it is time to prepare the outside of the house for the new season and also to start (gasp) thinking about the holidays. Here is a quick checklist of chores that should (don’t you just hate that word? ), or can be done to make sure that the outside of your home is ready for the coming of winter. Clean and store your patio furniture and summer toys. Wash your windows. This is worth calling someone and having them do it for you. Drain your garden hoses. Store them neatly in the garage. Don’t forget to blow out your sprinkler system to prevent broken pipes during the winter. Clean out your gutters. Again, this is another job that perhaps a high school student would like to take on for you for some extra spending money. After they clean out your gutters have them retouch any peeling paint on your deck, or at least power wash and clean your deck. Check caulk around outside windows and doors. Re-caulk if necessary. Look at your outside doors and your garage door. Do they close and seal properly? If not, get them fixed. You will reap the benefits on your winter heating bills. And finally, clean your chimney. Although at first it may seem a bit overwhelming, it is really not a long list. Schedule one job a day or a couple of jobs per weekend and before you know it the outside of your home will be holiday and winter ready. Make sure to spruce up the outside of your home before the holidays. Give it some extra sparkle starting at the curb. Here are some ideas for cleaning the patio, deck and driveway, organizing tools and more. Start with power washing the outside of your home. Remove dirt, grime and those yucky spider webs. Follow the directions on your power washer so you use the proper pressure for each surface. Don’t forget to wash the deck as well. After you are done, apply a wood preservative to prevent discoloration and water damage. Pressure wash the driveway. To prevent future stains apply a waterproof sealer. Remove debris from the gutters. Make sure you look for cracked seams at the same time. Deadhead your flowers, cut back your herbs and add a layer of mulch to the garden. Clean and put away your gardening tools for the season. Wash the windows, inside and out. Splurge and find someone to do it for you. It’s so worth it. Winterize your lawn – fertilize and aerate. Don’t forget to water your trees! Now your home is ready for winter and looks better as well. What makes a splash? Are you lucky enough to have a pool at your home, or are you thinking of installing a pool this summer. Should you have this project on your to do list, here are few examples of designer pools to inspire you. This poolside defines the essence of tranquility. The illusion of concrete slabs floating effortlessly in the still pool mimics characteristics of a Japanese garden. At the rear of the pool, a 14-foot arc of fire highlights a curved stucco wall painted a rich green. This tranquil space is highlighted by the interplay of light towers and water features, creating the perfect ambiance for entertaining or a serene retreat for solo relaxing. Light emitted from the towers is diffused by horizontal striations on the sides and a cascading waterfall down the front. A glass-wall system seamlessly merges interior and exterior spaces, allowing the homeowners to enjoy both environments simultaneously. Built-in stools surround a swim-up bar. Notice the hammock — the ultimate poolside accessory. The use of natural stone adds texture, contrast and a beautiful look to this pool. Check out this use of refreshing colors and unique materials to accentuate this contemporary poolside. The pool is lined with blue and black iridescent 3M Quartz that pops against the white interior of the pool. Don’t you suddenly feel like having a margarita and hanging out poolside?